The role of the thermostat is to maintain set temperatures. The name comes from two Greek works: “thermo”, meaning heat, and “statos”, meaning standing – or stationary. Quite literally, a thermostat is a device which works to keep temperatures the same. Thermostats use an integrated thermometer to monitor the temperature of the room. In our electric radiators this thermostat is located at the bottom of the radiator so its readings are not skewed by its proximity to the radiator’s heating elements. When the thermostat senses the temperature rising above set levels it will cut power to the radiator. When the thermostat senses the temperature dropping below set levels it will switch the radiator back on – and so on, to ensure that your room remains at the correct temperature without wasting energy. The point at which the thermostat will detect a rise or fall from set temperatures will depend on its accuracy. If you have a radiator set to heat at 21 °C, a thermostat accurate to ±0.5 °C will switch the radiator off at 21.5 °C and switch it on at 20.5 °C. Likewise, a thermostat accurate to ±0.2 °C will switch the radiator off at 21.2 °C and switch it on at 20.8 °C. The more accurate your thermostat, the narrower the margin within which your temperatures will fluctuate. What are the benefits of radiators with precision thermostats? 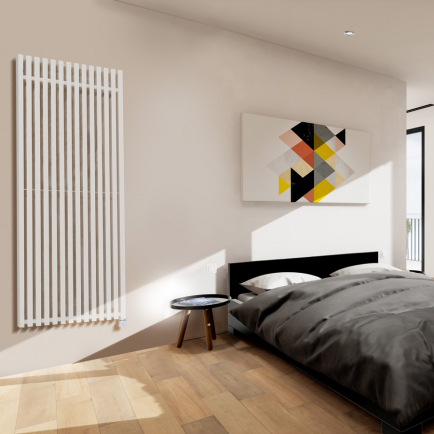 Radiators with thermostats maintain your comfort levels and restrict your energy usage without you having to lift a finger: the most reliable way to stay warm without amassing inflated heating bills. The more precise your thermostat, the more energy you can save. This is because the margin within which your temperatures can fluctuate will be smaller, so your radiators won’t have to work so hard to regain temperatures after a drop, or waste energy reaching unnecessarily high temperatures. How accurate are the thermostats used in your electric radiators? 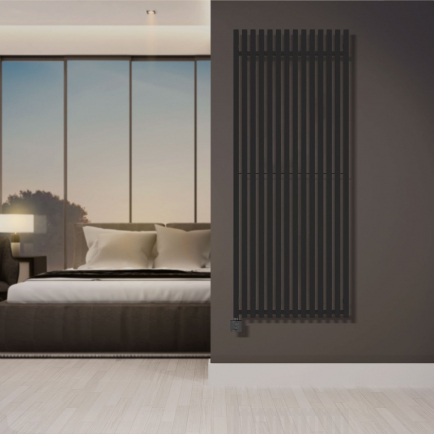 At Electric Radiators Direct, our commitment to energy efficiency is top priority – so we have gone out of our way to ensure that all the radiators for sale on our site use high precision thermostats. The accuracy of the thermostats used by our electric radiators varies from brand to brand, ranging from an accuracy of 0.5 °C in our Haverland radiators to 0.1 °C in our Electrorad Digiline electric radiators. Making your home heating more efficient is all about using less energy to achieve the same comfort temperatures. 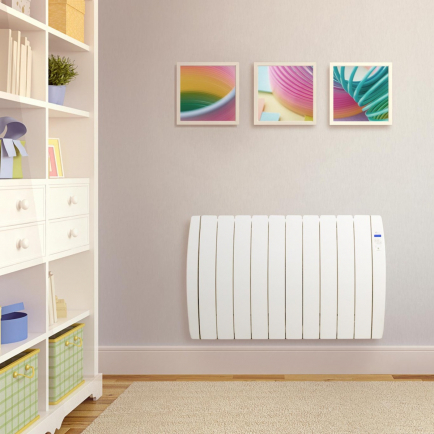 Choosing an electric radiator with a precision thermostat is an easy step to take to ensure you’re only using the minimum necessary to keep your home as warm as you need. Precision thermostats carefully monitor the temperature in your room. When the temperature rises above your specified level, it will cut power to the radiator to save you energy and money. When the temperature drops below the chosen level, the thermostat will switch the radiator back on to top up the heat.